Animal Health Care of North Branch is a full-service veterinary medical facility, located in North Branch, MI. The professional and courteous staff at Animal Health Care of North Branch seeks to provide the best possible medical care, surgical care and dental care for their highly-valued patients. We are committed to promoting responsible pet ownership, preventative health care and health-related educational opportunities for our clients. Animal Health Care of North Branch strives to offer excellence in veterinary care to North Branch and surrounding areas. Please take a moment to contact us today, to learn more about our veterinary practice and to find out more information about how Animal Health Care of North Branch can serve the needs of you and your cherished pet. Animal Health Care strives to provide the highest quality veterinary care in a practical, cost-effective and professional manner. Dr. Ralph Huff is the owner of Animal Health Care. He graduated from Michigan State University with a Doctorate of Veterinary Medicine in 1983. 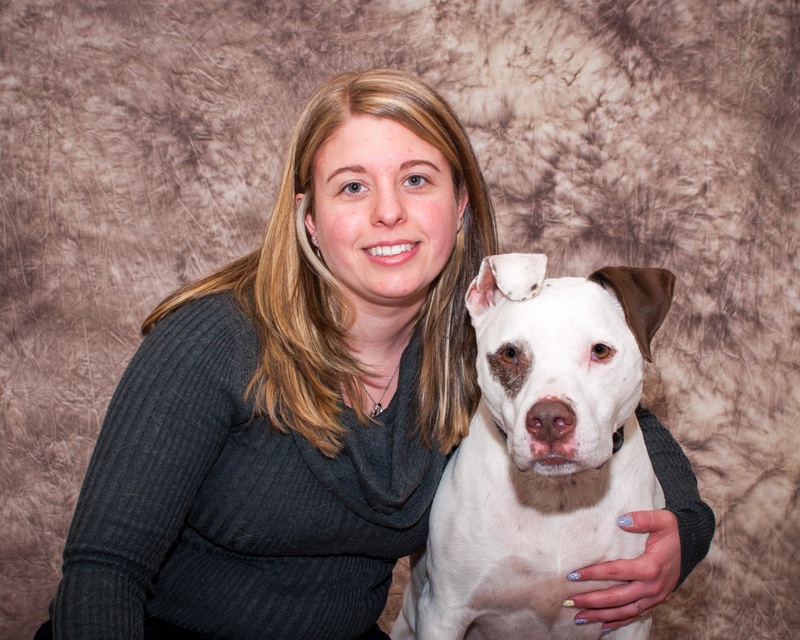 Dr. Huff is a past President of the Michigan Veterinary Medical Association. In 1986, after gaining three years of experience in Pennsylvania he decided it was time to move closer to his home roots in Michigan. He and his wife, Cindy, fell in love with the small town of North Branch and since 1986 they have made North Branch their home and raised three Spartans. Throughout the years Dr. Huff and his wife have come to truly cherish the small town family values of North Branch. Dr. Huff is a die-hard Michigan State fan and passed this trait on to all three children. When Dr. Huff was once asked about the most rewarding part of his job, he responded, "The most rewarding part about my job is serving the needs of my community." Cindy is our office manager. She graduated from Michigan State University with a Bachelor of Accounting in 1980. In 1982, she became licensed as a CPA(Certified Public Accountant). Cindy is also a die hard State fan. Dr. Huff and Cindy are college sweethearts and have been working side-by-side since their college days. In her spare time she is a marathon runner, participates in charitable work, and is her church treasurer. 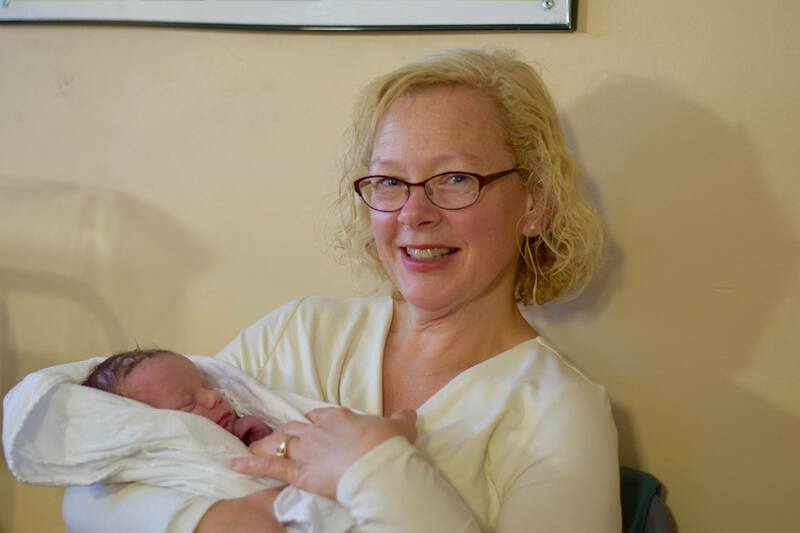 In addition, she is a proud parent of three Michigan State graduates and a devoted memaw to two animated little boys . Cindy has one of the biggest hearts you will ever find in a person. She finds the greater good in all things. Dr. Susan is often times behind the scenes performing surgeries and saving lives. When she is not in the office she enjoys spending time with her family, running and volunteering for the Lapeer County 4-H. Her love for dogs is unconditional. Her dog family includes a variety of Chesapeake's, Labradors and Pugs. 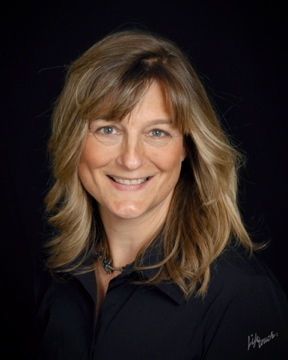 Dr. Peggy Powell is a 1995 Michigan State University graduate. She has happily been married to the love of her life for 26 years. She has 4 beautiful children that she loves to spend time with. Peggy is a member of the Calvary Bible Church. She enjoys staying active with her children, traveling and having quality time with family. Mary has recently become a preschool teacher in Genesee County. She still frequents the clinic often . She has been with our team for many years. 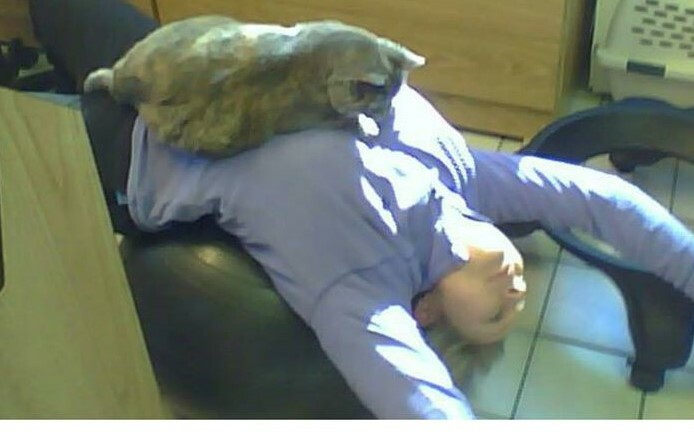 She has held positions as our Receptionists and Veterinary Assistants. While she loves all dogs, she has a big soft spot in her heart for Labradors and German Shepherds. Her large furry family consists of all adopted pets(most of which are from the office). She enjoys spending time with her family, barn time with her horses, "Scooby" and caring for her Mega-esophagus puppy, "Rella." 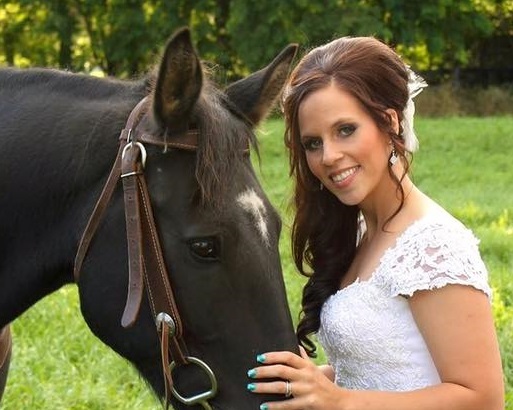 Amanda graduated from Michigan State in 2010 with an Associate Degree in Agricultural Business Management. She has been a part of our team for 10 years. She loves horseback riding and enjoys spending time with her son and husband. Suzette is the first friendly face you will see when you walk into our clinic. She is always smiling and prepared to help in any way possible. Suzette loves animals of all species. Her furry family consists of many birds, cats, and a varied number of dogs as she provides "foster care" for a rescue group. 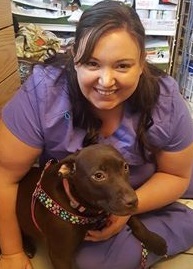 Working with the rescue allows her to fulfill her passion of placing homeless pets into a loving family. In her spare time, she enjoys spending time with her family, competitive bowling with her husband and volunteering at her children's school functions. Edna is the clinic cat. She enjoys lounging, eating, lounging, and eating more. Edna is extremely loving but has her sassy moments. She adopted us in 2006 and made our clinic her permanent home. Kaela Graduated from Des Moines Area Community College in May of 2010. She Has a long history working with animals and was raised on a local farm. She loves working with all sorts of animals. Betty graduated from Baker College with an Associate Degree in Business Management in 2011. She is currently attending Penn Foster to pursue her degree in Veterinary Technology. Betty enjoys camping, being outside and spending time with her family. She has many furry family members including a dog, cats, chickens and ducks. 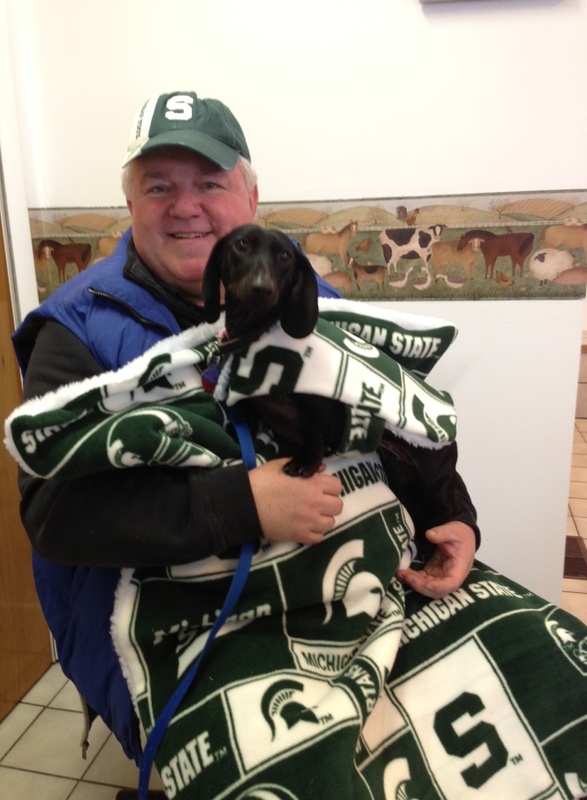 Dr. Weisenberger graduated from Michigan State College of Veterinary Medicine in 1991. 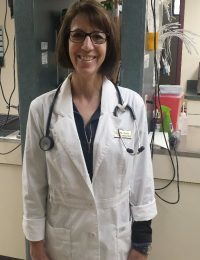 She grew up in Wisconsin and initially planned to be a large animal veterinarian. She previously worked at a mixed animal practice in the thumb for 3 years. Since then she has primarily worked with small animals. She owned a practice in Chesaning from April 1997- 2016. Her areas of interest are skin cases, soft tissue surgery and anything feline related. She coached the Chesaning varsity boys soccer team for 7 years. She has 2 boys; one is a senior at U of M while the other is a sophomore at MSU. She has a dog named “Maybe”, 2 cats; one she calls “Phantom of the Oppurra”, and the other she refers to as “No.4”, and we can’t forget about her sheep “Lacey” and “Miriam”.